I was very sorry to read of Dame Judi Dench’s declining vision. Up for an Oscar this Sunday, the 79 year old is suffering with age-related macular degeneration (AMD). She has said she can no longer read and struggles to paint and watch films. Sadly the condition affects over 500,000 people in the UK to varying degrees, most of those being over the age of 60. 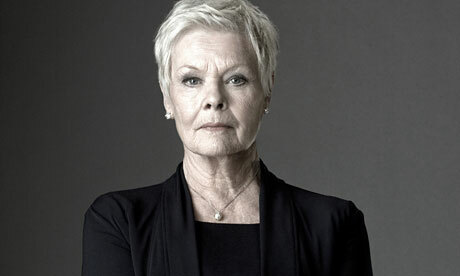 The genetic element of the condition is well known and in Dame Judi’s case her mother also suffered from AMD. Visiting your optometrist regularly will ensure early signs are detected allowing the condition to be most effectively managed. Early signs can include blurred and distorted vision and straight lines looking wavy. Using our latest OCT scanners we are able to see cross-sections of the retina to find the earliest signs of AMD which helps us get you access to treatments as soon as possible. Lenses and glasses will help, certainly in the early stages, and there are some medications and nutrients available that can also slow the degeneration, depending on which variety you have (wet or dry). Because the disease only affects the middle of the eye, sufferers will never experience total blindness. Dame Judi has said she has no plans of retiring, showing that even at its more advanced stages, the disease should not mean a complete change to current lifestyle. Encouragingly there are many ongoing studies into the disease so we hope that some day soon a cure will be found.